WALTHAM, Mass., Feb. 12, 2019 /CNW/ -- Skyhawk Therapeutics, Inc. ("Skyhawk"), today announced Dr. Roberto Guerciolini has joined the company as its Chief Medical Officer. Dr. Guerciolini will lead the clinical development of Skyhawk's novel RNA-targeting small molecule drugs, for therapeutic areas ranging from neurology to oncology and inflammation. 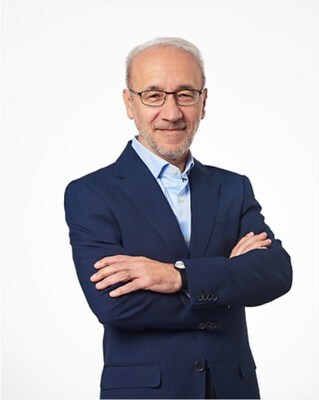 Dr. Guerciolini joins Skyhawk with 30 years of experience in drug development, and a unique background in RNA-targeting therapeutics as one of the first clinicians to bring a variety of RNA-targeting modalities to the clinic while at WaVe Life Sciences (NASDAQ: WVE), SIRNA Therapeutics (Acquired by Merck 2006) and Dicerna Pharmaceuticals (NASDAQ: DRNA), a company he co-founded. 04/02 DICERNA PHARMACEUTICALS : Reports Inducement Grant under NASDAQ Listing Rule 563..
04/02 DICERNA PHARMACEUTICALS : to Present at the H.C. Wainwright Global Life Sciences..
04/01 DICERNA PHARMACEUTICALS : ™ Reports Inducement Grant Under NASDAQ Listing ..
04/01 DICERNA PHARMACEUTICALS : ™ to Present at the H.C. Wainwright Global Life ..
04/01 DICERNA PHARMACEUTICALS : Announces the Presentation of Updated Data Demonstrati..
03/30 DICERNA PHARMACEUTICALS : Pharma (DRNA) Presents Updated Data from Ongoing PHYOX..
03/29 DICERNA PHARMACEUTICALS : ™ Announces the Presentation of Updated Data Dem..
03/13 DICERNA PHARMACEUTICALS : MANAGEMENT'S DISCUSSION AND ANALYSIS OF FINANCIAL COND..
03/12 DICERNA PHARMACEUTICALS : Reports Fourth Quarter and Year Ended December 31, 201..